Our head coach faced the press after the game against Lokomotiv. Here’s what he had to say. — This was a real derby, no one was ready to give an inch. Our performance left something to be desired, but tonight a win was more important. 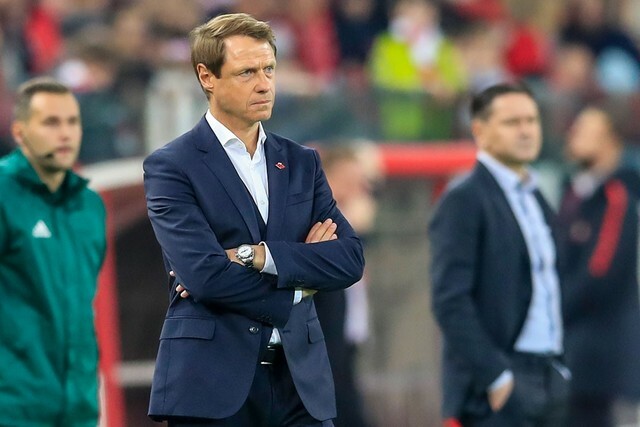 This is only my third game as Spartak’s head coach and at this stage such a success, which was achieved due to patience and character, is especially important. — Can you give us an update on Fernando and Rebrov? — Fernando has an inflammation of an old injury. He could have played on, but we decided to substitute him, in order not to aggravate it further. I hope he heals quickly. Rebrov took a serious blow to the head, there was quite a lot of blood in the dressing room. But he did a good job today. He played like a hero. 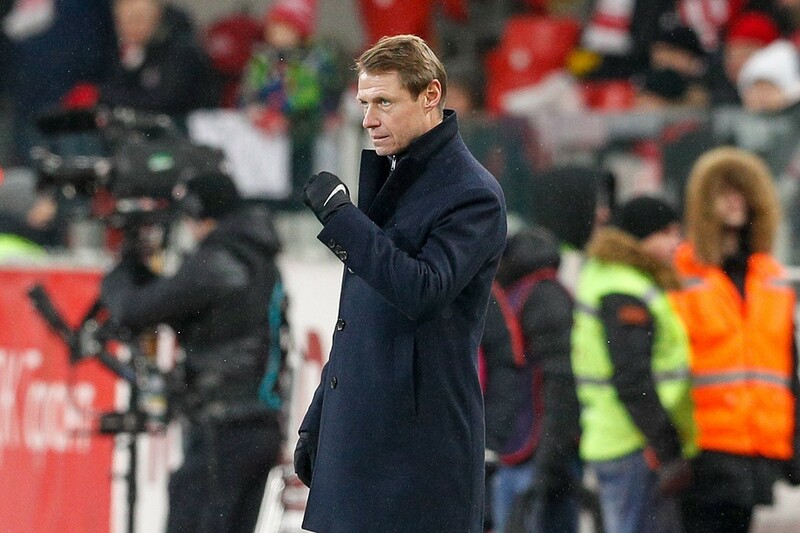 — If Rebrov couldn’t continue, would Glushakov have taken up his place in goal? — Yes, this thought was going through my head. I want to, once again, give credit to my players for the character they’ve displayed. This season is a strenuous one, both physically and psychologically. It’s important the players understand they have to give their all, put themselves on the line. — If Fernando doesn’t recover quickly, will Timofeev be the only viable alternative in the holding position? — We also have Ignatov. He has come back from the national team not at his best, we needed time to whip him into shape. He trains well right now. I hope he can help us in the remaining games. 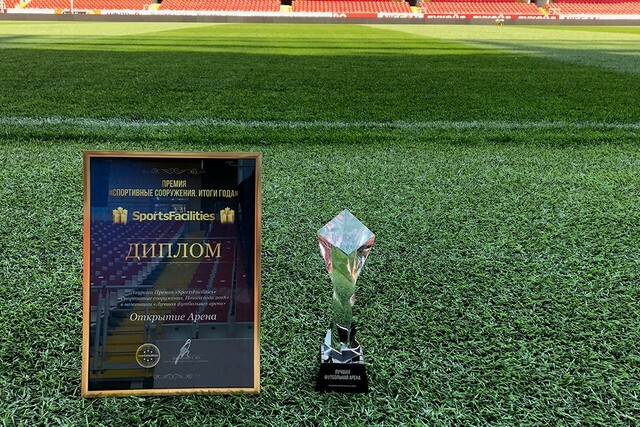 — It was a special game for Glushakov. Did you congratulate him on his goal separately? — I have congratulated everyone. It was indeed a special game for Denis, he used to play for Lokomotiv. — What did you say to Hanni? He’s one of the best at Spartak right now. — I didn’t do anything in particular. He just shows his quality on the pitch. He plays in a position he is familiar with. He didn’t have the best of games against Rapid, in all honesty — which he knows. He came into today’s match with a serious attitude. Now it’s important he keeps that high level of performance consistently. 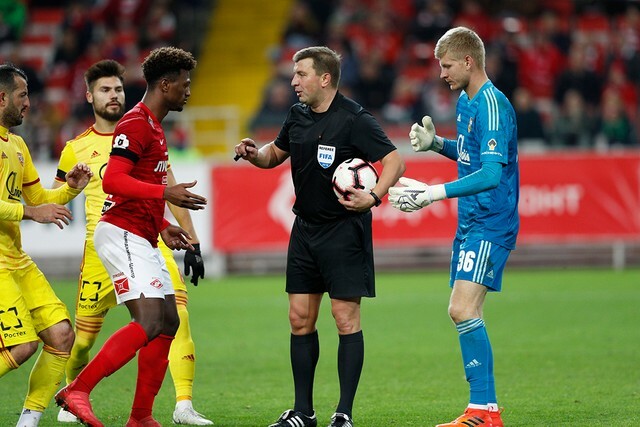 — Spartak have once again conceded after a positional mistake from the defensive line. Is that becoming a systemic problem? — I explain to my players what they should and shouldn’t do, but it’s one one thing to just say and another to work on it day in day out. It’s hard, with our current schedule, to quickly get into the brass tracks with players, and it’s hard for them to immediately grasp it and cut out the mistakes. — Despite that the team continues to press high up the pitch. — I want them to press even higher, with more intensity. Right now we are at 20% of what I ideally want to see. 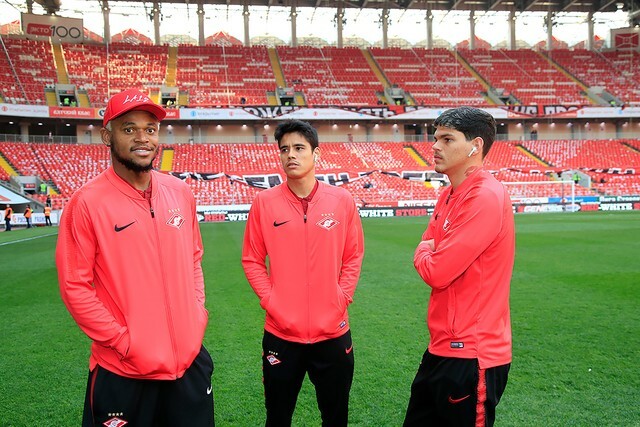 — Why haven’t you put an extra man in midfield, to counter Loko’s impressive attacking group? — I always count on my players to do the job. Adapting to opponents isn’t really my style. We want to be the better side with the ball, not without it. — Why did you make Rebrov number 1 goalkeeper? — Selikhov isn’t completely fit yet, he had a serious injury. With regards to choosing between Rebrov and Maksimenko, I went for experience. Maksimenko is a good keeper, I hope he’ll have a bright future. During training I sometimes marvel at his ability. But for now experience is more important. — There was a team dinner after the Rapid game, at the stadium. Whose idea was this - and will it become a tradition now? — We need to recover after matches. So as not to drag guys to the training base we stay at the stadium, have dinner. Players invite their families. It’s important to bond, talk to each other, go over mistakes.